Hi, next week I will present and defend my master’s thesis in Bremen. The colloquium is public and everyone interested on is hearty welcome, for details click on the image below. Machinima Fictions. A do-it-yourself practice to produce narrative movies from video games. 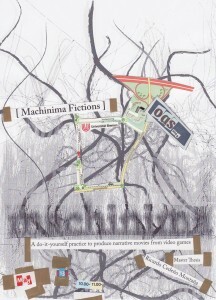 This thesis investigates the growing phenomenon of the moving image form of machinima, which has been defined as a technique that utilizes 3D video game environments to produce narrative animated movies. The main argument centers on the hybridization of media languages that machinima exhibits, allowing a cultural appreciation of this phenomenon. Two productions that promote machinima qualities such real-time and film language are examined in order to observe how these features mold the expressive potentialities machinima as a hybrid moving image medium. The metaphor of a rhizomatic, tangled surface (maraña) streams throughout the document and fosters a multifaceted view of this moving image medium. Through my research, which encompasses the critical view of terms, the development of concepts, and a review of relevant literature, I argue that machinima is more than a technique that imperfectly imitates the conventions and codes of mainstream film and television. 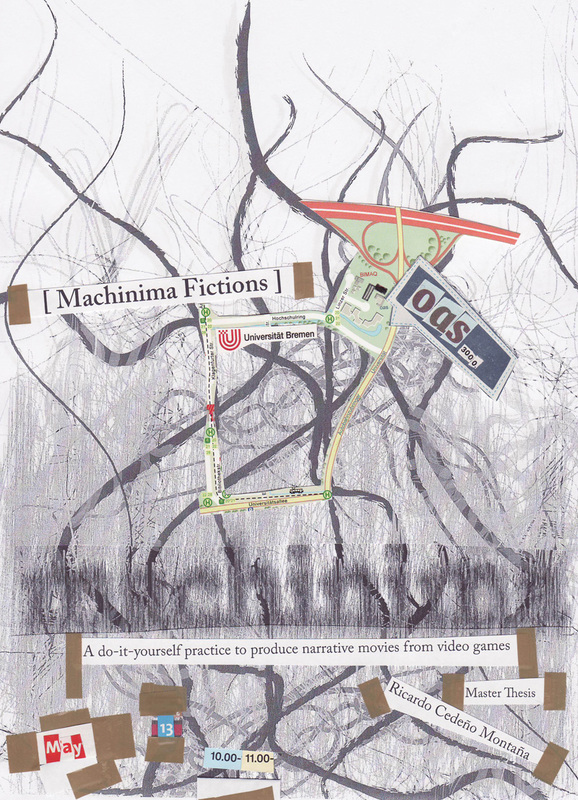 Instead, machinima is considered a cultural phenomenon that stems from a persistent contact with machinic entertainment media and subscribes to the current widespread do-it-yourself (DIY) mentality in media production that emphasizes production over consumption. Soon to be available online. mucho éxito en la defesa! Mucha suerte en esa defensa, mi peludo hermanito!!!! Cuenta con todo mi apoyo. Hola Ricardin, infortunadamente el viaje se me complicó muchisisimo… las cosas acá con mi trabajo de grado estan un poco fuera de control y por mi beca debo terminar de acuerdo con mi plan con la idea de poder contar con el dinero suficiente para quedarme unos meses mas, asi que lamentablemente no podré estar en la presentación.